Limoges is a city in the centre of France with a population of about 250,000 people. It seems most people visiting were staying out in the countryside. But why not stop for a couple of days to explore all the things to do in Limoges? 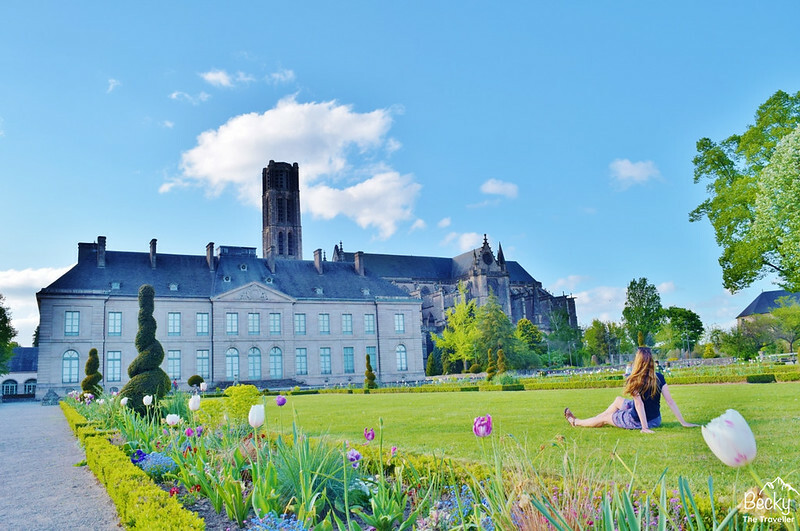 It was named as a UNESCO creative city in 2018 so why not see for yourself how much there is to do in the historic French city! My visit was a spur of the moment trip, booked without any research beforehand! After paying for the flight I went to my faithful Pinterest account and typed in ‘What to see and do in Limoges’ but all that came up was hundreds of pictures of porcelain. At least I knew it was famous for something but I wanted to explore the city and see what else it had to offer. 1 Why Limoges is the Perfect Break? 5 How to get to Limoges? 6 Where to Stay in Limoges? 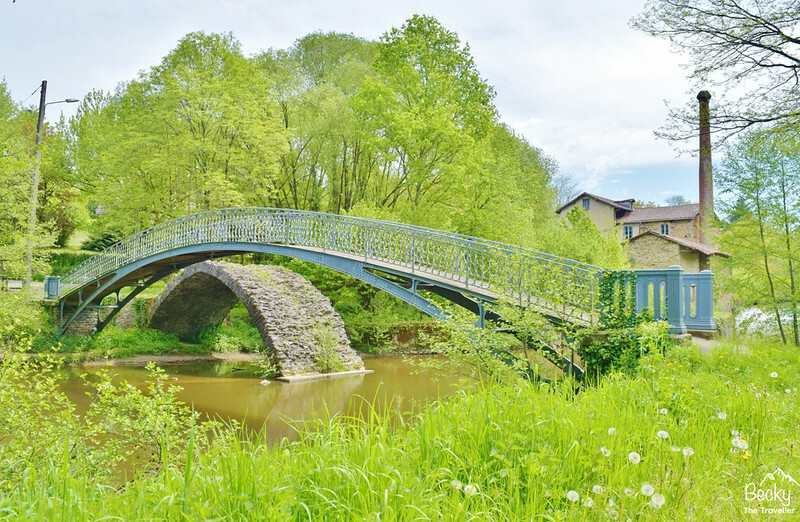 Why Limoges is the Perfect Break? My choice of destination was purely based on a cheap flight direct from my local airport East Midlands flying directly with budget airline Ryanair. Total cost for the flight was £20! Check out more flights here. Also since it was a short 2-night trip, the hand luggage allowance was plenty for the luggage I needed so no extra costs there. In fact, the 3-day cost for car parking at £50 worked out more than the flights haha. This was the best option since a taxi was more expensive and I was travelling with my brother so we could share the costs. If you’re travelling solo, which I am most of the time you can catch the Skylink Express from Nottingham city centre. This costs £13 for two trips and takes around 30 minutes! After arriving and checking into Ibis Budget Limoges (cheap but definitely not cheerful) it was time to explore and see what the city had to offer. Within 5 minutes walk from the hotel was the beautiful train station so at least there was one positive to the hotel haha. This might seem a bit odd but for me, this has to be one of the must-see places to visit in Limoges. 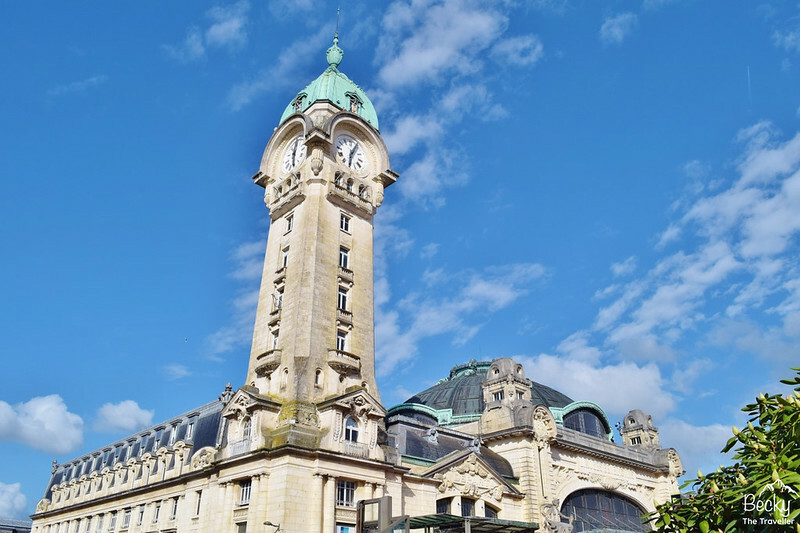 If you’re arriving or leaving by train you’ll get to see the ‘Gare de Limoges’ or if you’re doing a day trip from the city, like the trip I did to nearby Aixe sur Vienne. But if you’re not catching a train to or from the city then be sure to pop and visit before you go. Since we were staying close to the train station we had the chance to see it at night too, which is pretty all lit up. This is a beautiful park in the city centre and it is close to the train station, it’s literally across the road. It’s a relatively small park so it won’t take long to walk around. There are water fountains, statues and more views of the train station, in case you’ve not had enough. If you visit in spring this is the best place to see cherry blossoms. A prominent must-see feature in any city and Limoges doesn’t disappoint. 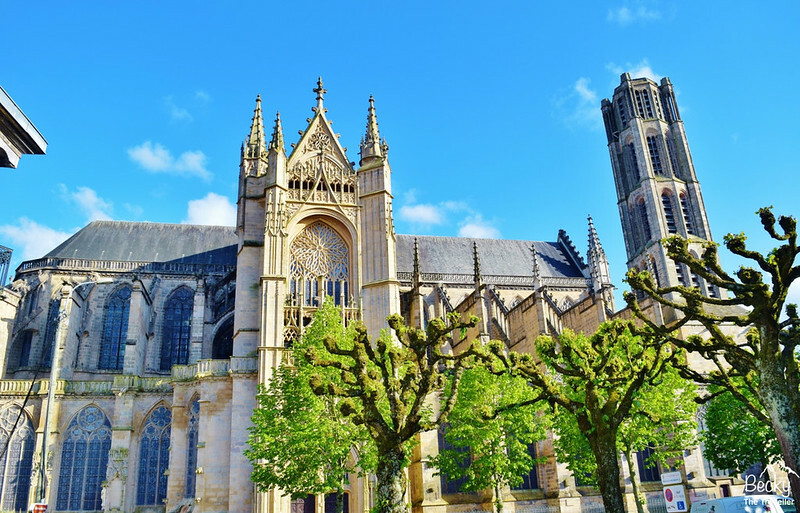 This beautiful cathedral is situated in the middle of Limoges smaller historic district, known as Quartier Historic de la Cite (there are actually two). There are traditional French houses close by, including my favourite street Rue du Rajat as you walk down to the river. The cathedral has stunning architecture to admire from outside but is also open if you want to explore the inside too. The opening time varies between 9 am to 5 pm or 6 pm, depending on the time of year. I was saving visiting the inside for the last day when it was raining but ran out of time. Situated behind Limoges Cathedral the Botanique Gardens are tucked out of the way. They are relatively small so it doesn’t take long to wander around. Then a larger garden, the Jardin de l’Eveche opens up with a cute fountain and amazing views overlooking the city of Limoges across the River Vienne. During the evening many locals were sat enjoying a few drinks in the warm sunshine or playing a game of bouls. 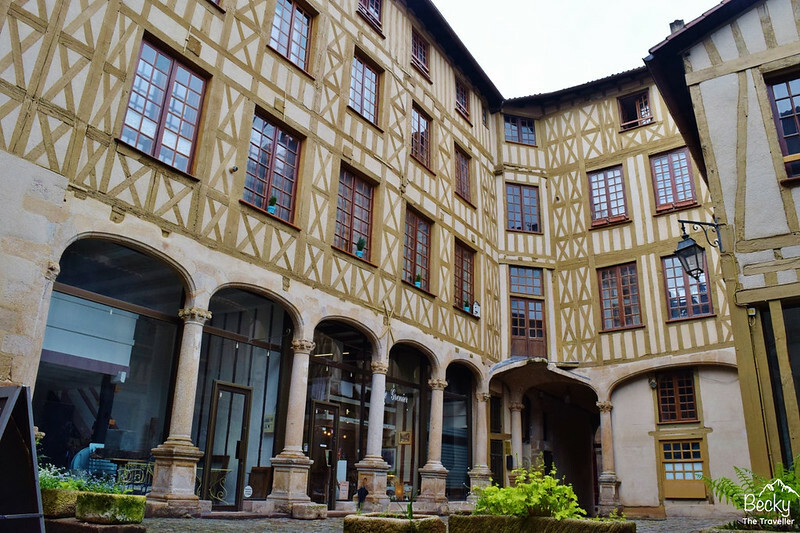 The building in the photo above is the Museum of Limoges Fine Arts, which displays of art through the ages. If you have time and are looking for more things to do on your trip (or if it’s raining and you want to go inside!) then the reviews suggest it’s worth a visit. If you head down from Limoges Cathedral and gardens there’s a pretty walk across the Pont Neuf bridge, here you have pretty views of the river and the older bridge (Pont Saint Etienne) a short walk away. 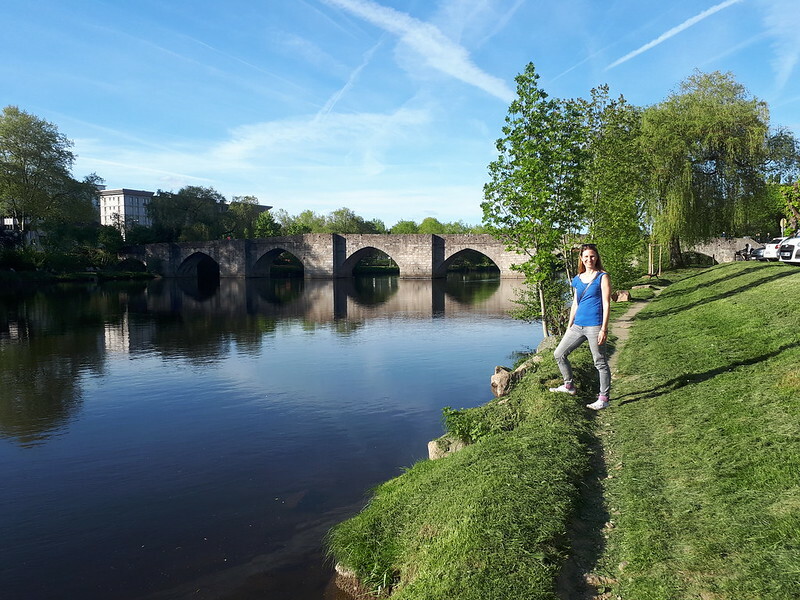 You can walk both sides of the River Vienne on well-established paths but I picked the side in the sunshine. There are also a few cafes and bars on the opposite side of the bridge so you can stop and grab a drink or bite to eat. 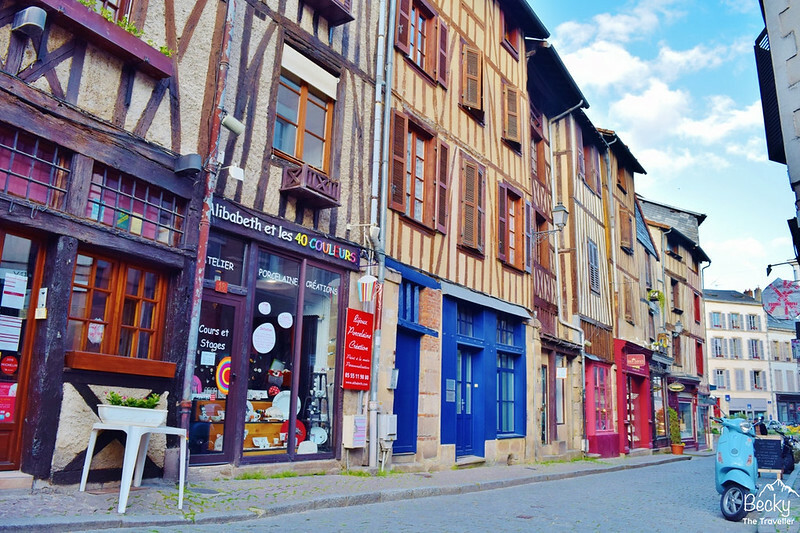 Heading now away from the River Vienne and the Quartier Historique de la Cite you’ll come across Limoges’ second and larger historic districts, the Quartier Historique du Chateau. My advice is to explore this fascinating part of the city on foot so you don’t miss out on any of the cute cobbled streets and alleyways which wind in and out of the city centre. Take a walk down the main street Rue Jean Jaures then pick any smaller street and enjoy those cute French buildings and hidden alleyways. I literally could have wandered around all day taking photos. Pictured above was my favourite spot which I found by accident. The Cour du Temple is a private courtyard (I read this after) which demonstrates beautiful Renaissance elegance. You’ll find this treasure down the Rue du Temple. The Rue de la Boucherie is a pretty street too, where there was a museum you could visit. Sadly, a fire has destroyed a lot of this building which was sad to see. I hope it can be renovated. 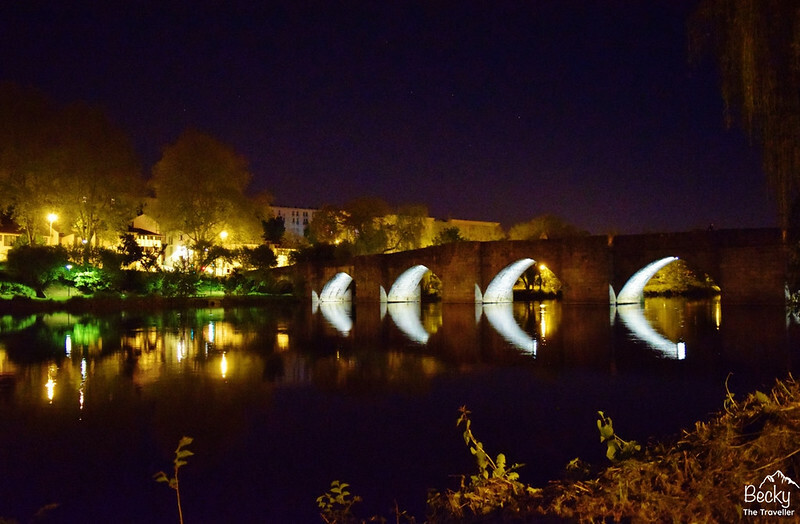 What to do in Limoges at night? It’s beautiful walking around at night too, the city is quieter but the traditional French buildings look gorgeous and make for some fun photos. This is a huge indoor market area in Limoges city centre, the original building was under construction when I visited and a temporary huge outdoor marque had been erected. But it’s great to walk around to see delicious French meats and cheeses. You can also purchase crepes or cakes as a treat on your way around. I’m not sure when the original building will be renovated but the new one is considerably smaller so try not to go at peak times when French locals are doing their shopping. On the outskirts of the historic city and by this I mean about 10 minutes walk from Rue de la Boucherie. 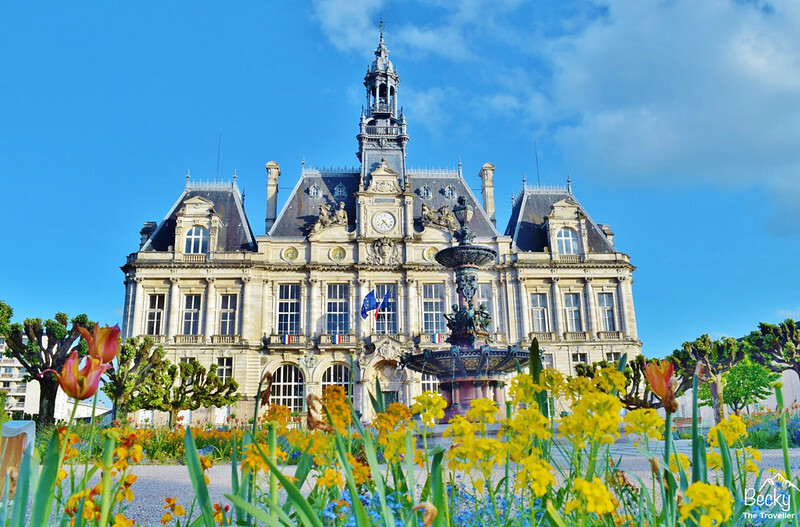 Also known as Mairie de Limoges or La Hotel de Ville, the city hall is a beautiful building. Complete with an intricately designed fountain and gardens out the front it’s a must-see place to visit on your trip. What to do in Limoges if it’s raining? 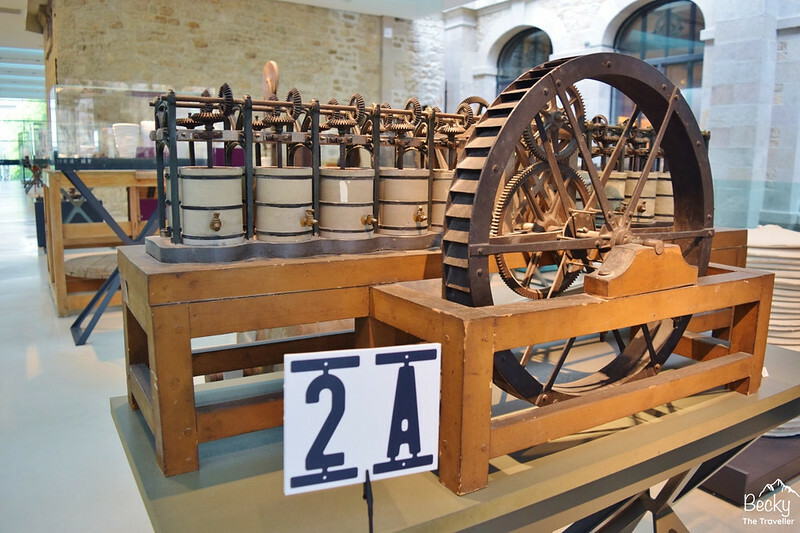 If you’re looking for things to do in Limoges on a rainy day then museums are the perfect answer. There are various porcelain related museums but the one I chose (also recommended by some locals in the restaurant on my first night) was the Musee Adrien Dubouche. The museum information is in French but if you can provide some ID and you can get an iPad with all the information on the corresponding numbers. In fact, this was probably a bit more information than you needed but at least you could pick and choose what you wanted to know more about. Lastly, a visit to Limoges isn’t complete without crossing the beautiful 13th-century bridge, the Pont Saint Etienne. By day, you can see the beautiful detail of the bridge and by night it’s all lite up and is very relaxing to walk across and look up at the stars. It’s was a bit of a walk from my hotel but totally worth it for the night time photos. A perfect end to your weekend break. In a couple of days, you could see and do most things you wanted to in Limoges. However, it has a great transport network so would be a good place to base yourself from to explore more of this part of France. There are many small towns and villages close to visit near Limoges, as well as the big cities a little further away. Paris to Limoges is over a 4-hour drive, whereby closer Bordeaux is about 2.5 hours and Toulouse about 3 hours drive. Places to visit near Limoges? Aixe sur Vienne is the closest town and makes a great day trip, but there are many other destinations you could visit in the area too. I jumped on a train from Limoges and spent a day exploring Aixe sur Vienne (next to the river Vienne). Read more about my day trip to Aixe sur Vienne here. Here are the places I had dinner whilst I was visiting. Plus a cute coffee shop that’s definitely worth a visit when in the historic centre, close to the indoor food market. 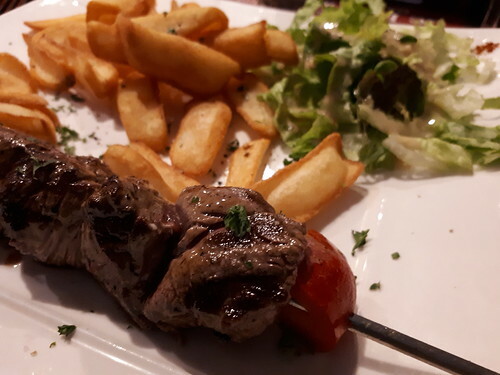 A small Bistrot in the business district of Limoges, not too far from the cathedral. They had a great selection of delicious French dishes, freshly made. 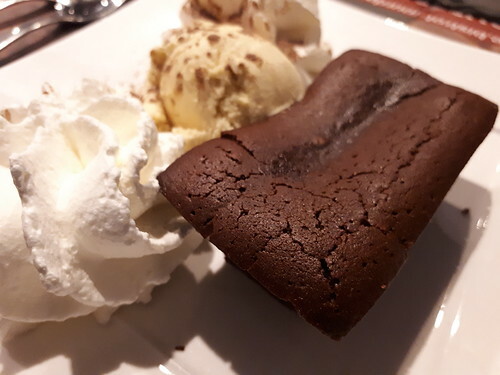 I opted for the €24 3-course menu – salmon carpaccio, beef tenderloin kebab and chocolate fondant with cream and ice-cream for dessert. 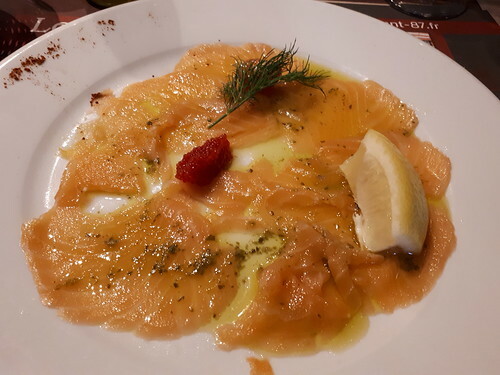 The second night we opted for a slightly more expensive restaurant in Limoges city centre, there was actually a bottle of wine that cost €500 – no we did not try it! I would suggest part of the expense was connected with the location as this was in the heart of the main historic quarter of Limoges. I loved this cute cafe, it was decorated in Art Deco and a great place to stop and rest your legs from walking around. Cafe 1900 is situated close to Les Halles and serve coffees or beers so something for everyone. How to get to Limoges? Planes land at Limoges Bellegarde International Airport. Although the airport itself is very small and won’t take you long to walk from one side to the other. Even passport control and the luggage carousel are in the same area a few feet away from each other! Taxis are available outside the airport which cost around €25 to the city centre. Public buses are only available in the peak summer season. Of course, the gorgeous train station as mentioned above is a great way to travel to and from Limoges. It’s only a short walk to the main city centre. Trains to Paris takes just over 3 hours and Bordeaux is about 2 hours on the train. The main coach station Ciel Benedictins is close to the city centre and has buses heading to various destinations. Taking a road trip from Paris is via the A20 motorway and takes nearly 4 hours, although there are plenty of beautiful stops you could make on the way! Where to Stay in Limoges? As mentioned above, I wouldn’t recommend the Ibis Budget. Yes, it was very cheap but the hotel was basic and the corridors had the feel of a prison, no I’ve never been in a prison but I’ve seen them on TV haha. The room was simple and in the style of a double/single bunk bed, with the single on top in case you were wondering. No tea/coffee, hairdryer included, hence the ‘budget option’. Breakfast was extra at €6 per person. Even the bathroom (towels included) required you to be a contortionist to shower and get dressed in the tiny space. But you get what you pay for so at €86 for 2 nights, for 2 people it was ok for a short trip. Tempted to visit Limoges or would you like to ask me any more questions about what to see and do in Limoges? Please ask me any questions in the comments below. This is so helpful. I’m going to be in Limoges for two days this August. Thanks for the ideas!